Pass the pumpkin pudding and those yummy yams. The foods of fall are bountiful and tasty, and they’re good for more than just eating. 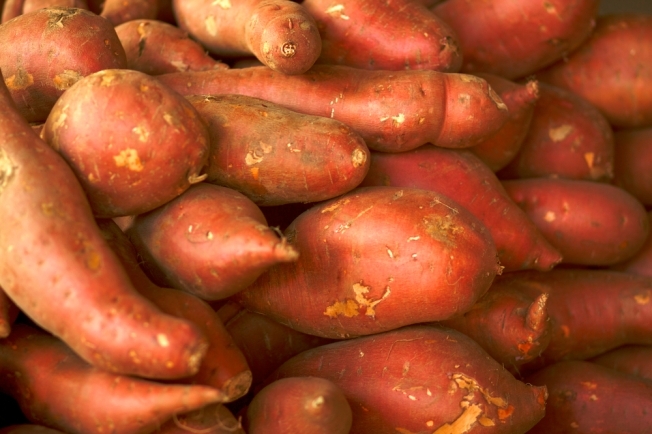 If you want to conceive, yams could help. It's one of many harvest foods with surprising health benefits. Want to see better? Wrap your lips around some helpings of broccoli, cauliflower and cabbage. Pumpkins pump up your beta carotene. And for your heart's sake, roast the seeds. "Fall foods are really packed with a lot of good stuff," said Dr. Jackie Eghrari-Sabet, of Family Allergy and Asthma Care. And there's real science in the soil, so to speak. Yale students studying yams and fertility hypothesize that anti-estrogens fool the brain into thinking there isn’t enough estrogen, so it releases more of the hormone called gonadotrophin and increases the ovulation rate. For generations, Nigeria’s Yoruba people have credited white yams with an unusually high birth rate of fraternal twins. However, with Thanksgiving fast approaching, don't overdo it. "You can get too much of a good thing," said Dr. Jackie. An overdose of beta carotene can do more damage than free radicals, so don't load up on the supplements if you're loading up on the foods. A ½ cup of Brussels sprouts has enough vitamin K for the day to help your blood clot when it's supposed to. The skin of apples and pears is high in flavonoids (which fight cancer and inflammation). If these fruits make your mouth itch, peel and cook them.